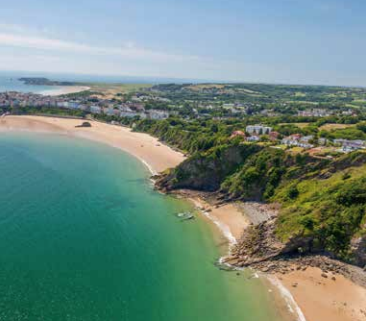 Tenby is situated in the beautiful county of Pembrokeshire in SouthWales and has been described as the “Jewel in the Crown”of the Welsh Riviera. It’s quaint narrow streets, full of interesting little shops, shelter behind the ancient town walls and eventually lead to the picturesque harbour. A visit to Pembroke Dock Heritage Centre. Pembroke Castle (Approx. cost £6.00). A visit to the Lovespoon Workshop to see how the Welsh Spoon is carved. A visit to the Cathedral City of St David’s, the smallest city in the British Isles and a guided tour of Picton Castle and Gardens. A Train ride on the Gwili Railway which includes a drink and cake. Then a guided tour of National Botanic Garden of Wales. A day of leisure in Tenby. 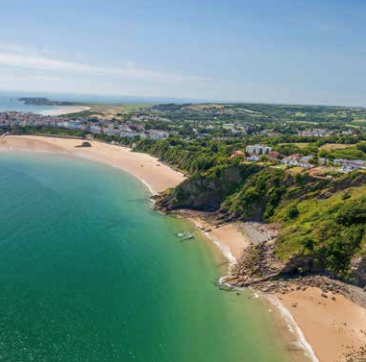 The 3 star refurbished Giltar Hotel is in the Centre of Tenby on the quiet Esplanade with magnificent views across to Caldey Island and South Beach – which can be reached via steps in front of the Hotel. Shopping Centre 10 minutes level walk away. 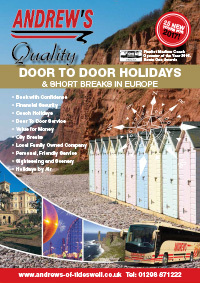 Family-run, with a friendly, homely atmosphere. All bedrooms have en suite shower or bathroom, TV, telephone and tea and coffee making facilities. Pleasant lounges and sea view dining room. Entertainment most evenings in the Cellar Bar. Lift. Price is based on accommodation with en suite facilities including breakfast, dinner, entrance & guided tour of Picton Castle, train ride on Gwili Railway, guided tour of Botanic Gardens, entrance to Pembroke Dock Heritage centre and coach travel.